Hair Care Experts say that often the reason people have dull, dry hair is simply because they don’t wash their hair properly. To keep your hair at its shiniest, follow this hair washing routine: Wet your hair with the warmest water possible, in order to open the cuticle layer. Apply shampoo and massage it into your scalp using the pads of your fingers. Rinse with cold water in order to seal the cuticle layer. Squeeze out the remaining water before applying conditioner. 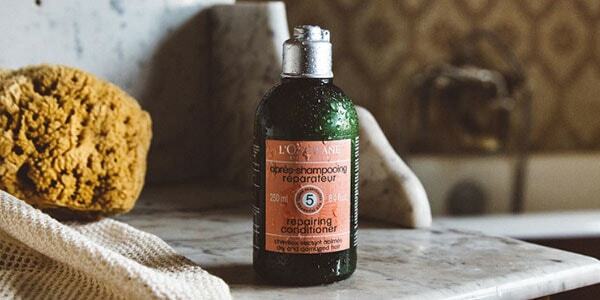 Massage conditioner into the ends of your hair and rinse thoroughly. 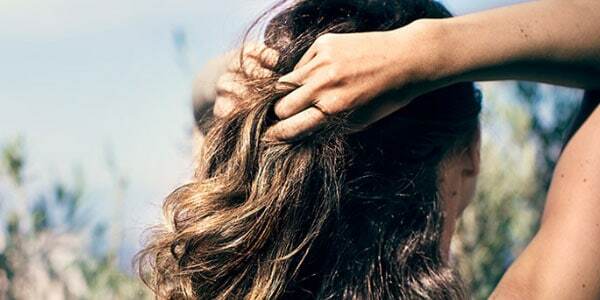 Blot your hair dry, do not rub or wring it, your hair is at its weakest when wet ! Apply shampoo on the scalp only: Aromachologie Natural Repairing Shampoo for damaged hair and Aromachologie Revitalising Fresh Shampoo for normal hair. Apply conditioner on the ends especially: Aromachologie Natural Repairing Conditioner for damaged hair or Aromachologie Revitalising Fresh Conditioner for normal hair. 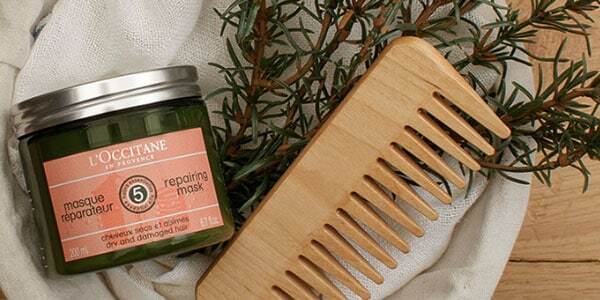 Apply a hair mask, and wrap your hair in a warm towel while it’s in the mask to encourage moisture retention. 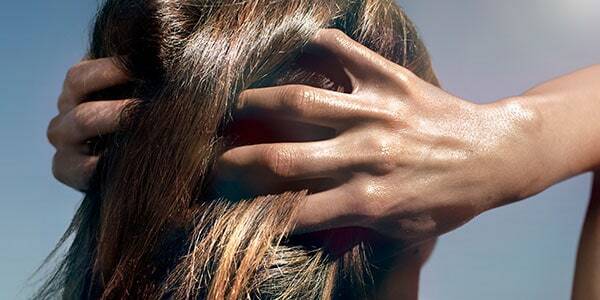 Before shampooing, apply Soothing Scalp Oil and massage your scalp to stimulate micro-circulation. 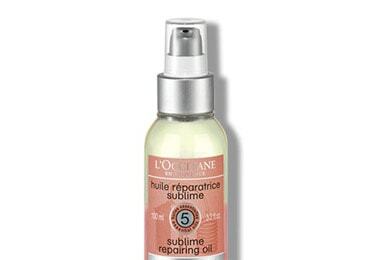 Its gentle soothing formula will help detangle your hair from the roots and make your hair shine. Apply the Radiance and Color Shampoo on the scalp only. 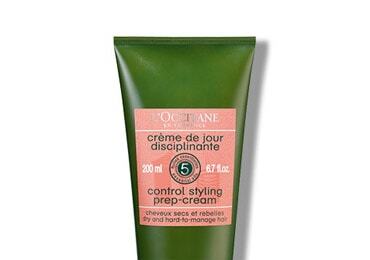 Apply the Radiance and Color Conditioner on the ends especially. Apply a hair mask, (Repairing Hair Mask for damaged hair or Radiance and Color Mask for normal hair) and wrap your hair in a warm towel while it’s in the mask to encourage moisture retention. Apply a hair mask onto your hair before washing it, to add the benefits of your own hair oil to the product’s benefits. Wrap your hair in a warm towel to open the dried out cuticle layer more easily and help it lock moisture in. Apply shampoo to your hair without rinsing the mask, to prevent your hair from drying out too much. Apply conditioner onto the ends of your hair. We are all born with a unique, fixed number of dermal follicles, determining how thick our hair can get for all our life. 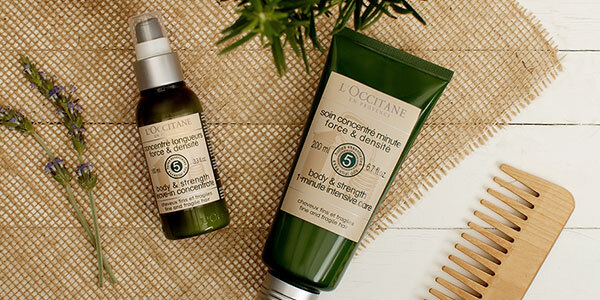 To maximise thickness, give your scalp a gentle massage every day to stimulate micro-circulation and wake up your roots. A diet high in healthier fruits and vegetables can be beneficial to your hair. B vitamins, found in avocados, are thought to be the most important for hair growth. Blueberries are rich in vitamin C, which helps your body produce collagen, and squash contains vitamin A, which encourages sebum production. There are two types of dandruff: dry dandruff and oily dandruff. Dry dandruff is often linked to a dry scalp and an ill-adapted shampooing routine, whereas oily dandruff is linked to other factors such as stress. 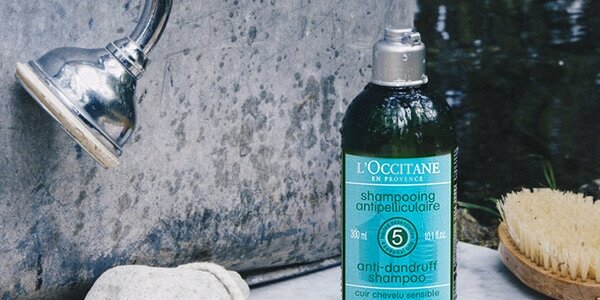 L’Occitane has designed a special Anti-Dandruff Shampoo that treats both kinds of dandruff. For dry dandruff, it is also recommended that you use this shampoo in addition to using Soothing Scalp Oil before shampooing, to ensure your scalp doesn’t dry out any more. Your hair is very sensitive, and if it undergoes a lot of stress, it can actually begin to break and lose its suppleness. Your hair is most damaged by heat and dryness—crimpers, hair curlers, hair straighteners, dyes and colouring, excessive and overly hot blow drying, and even sunlight dry out and damage your hair. 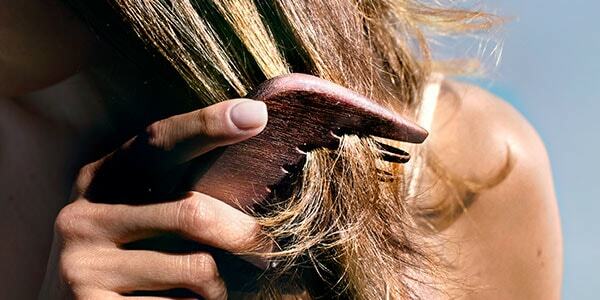 Avoid hair styling appliances that apply heat directly onto your hair, or don’t use them daily. 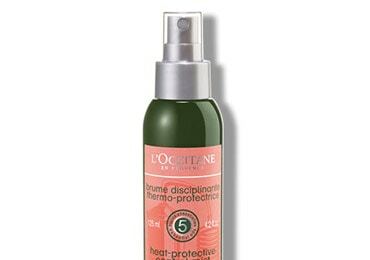 When you do use heat styling tools, protect your hair with a Heat-Protective Control Mist. 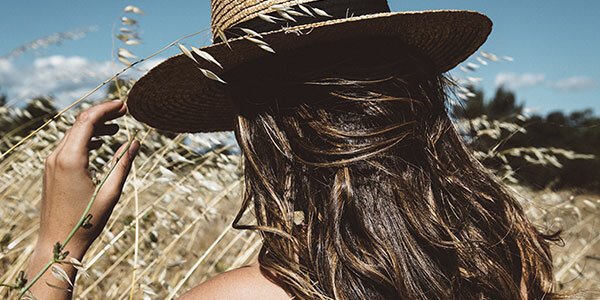 Remember to protect your hair from the sun, just as you protect your skin, with a Sun Protection Mist.